From a wealth of natural riches to historic connections with Winnie the Pooh, White River has many attractions worth exploring. 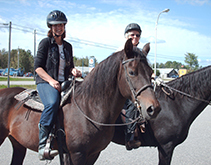 In fact, hundreds of miles of bush roads and trails lay just outside our Motel! These can be traveled year round by 4-wheeler, motorcycle/dirt bike, snowmobile and horse. Canoeing is yet another way to get outdoors: a stay with White River Motel puts you near the world-renowned White River or Pukaskwa River, which leads to Lake Superior. You can also kayak around Haties' Cove or into Superior itself. Inland canoeing can be done on the many lakes and river systems, while the area's fishing and hunting needs no introduction. 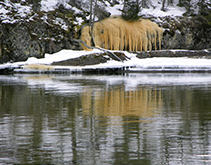 Furthermore, three parks (Obatanga, White Lake, and Pukaskwa) provide hiking and sightseeing opportunities within easy reach. 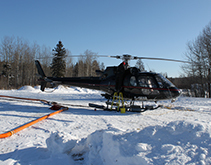 Go aerial sightseeing with White River Air or Wilderness Helicopters. And, last but not least, White River will always be known for being the place where a bear cub named Winnipeg was bought by a lieutenant stationed here during World War I. "Winnie", as she became known, was eventually seen by author A.A. Milne and his son Christopher Robin at the London Zoo after staying here for many years. 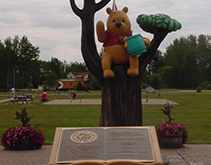 Today, the town's connection with Winnie the Pooh is celebrated through a museum and annual festival, two other favorite things to do in White River! Please take a look at the individual pages below for further details. 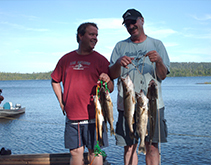 With more than fifty remote locations located within a ten thousand square mile area north of Lake Superior, North to Adventure, is your ultimate choice for a first-class wilderness fly-in or train-in fishing or hunting vacation in Canada. World-famous children’s character Winnie the Pooh was inspired by an orphaned bear cub, which was purchased from a trapper at White River by Captain Harry Colebourn, during WW I. He was a veternarian and his troop train had stopped at this Northern Ontario town enroute from Winnipeg. We are very proud of our Museum. On display are artifacts that show the history of White River and in so doing show our Canadian history as well. Ontario's only wilderness park, Pukaskwa National Park covers 1880 square kilometres of rugged terrain and frigid water along the rocky north shore of Lake Superior halfway between Sault Ste. Marie and Thunder Bay. 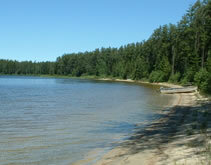 White Lake Provincial Park - White Lake Provincial Park has three campgrounds. Woodlily, Sundew and Moccasin Flower's sites are either sheltered by pine trees or by the lake's shore. 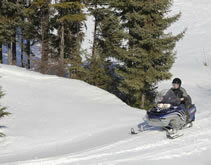 With 11.36 feet of annual snowfall, White River offers spectacular snowmobiling - and when you finish a day of cruising the hundreds of miles of groomed and powdered trails, spend a warm, relaxing evening at the friendly White River Motel. The White River Area holds many adventures for anyone who loves the great outdoors. From first-rate fishing to incredible scenery for hiking or canoeing, White River has it all. White River is the birthplace of the bear that became Winnie the Pooh and holds a festival the 3rd. weekend in August each year. 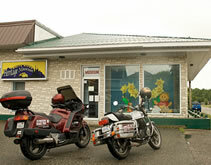 The motel is across the street from the “Winnie the Pooh” Park and near the community museum. At the end of your busy day, come stay in one of our all hook-up travel trailer sites, well finished motel rooms, or luxury housekeeping cabins. All of our rooms have free wireless internet, fridges, coffee, TV with 50+ channels, and modern phones. Our large 6 bedroom fully outfitted cabin accommodates 10 people and our second is a 3 bedroom cabin on a very scenic lake. All kinds of adventure greats you as you step from you doorstep!